Aaron and Travis didn’t even try to fake it. When the test started, they started bubbling in their answer forms without even reading the test questions. Choosing answer “A” for each of the dozens of problems, they made perfectly straight columns of black marks down their answer sheets, finishing a two-hour test in five minutes. Meet STAR, California’s Standardized Testing and Reporting program, created in 1997 to measure achievement in all of the state’s public schools. 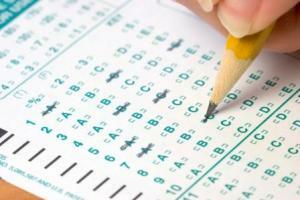 Soon it will be back, and most public school students from grades 2-11 will take the annual spring exam. Thousands of teachers like myself will try to somehow motivate them to take it seriously. That’s not easy to do, because the scores have no bearing on their grades, graduation or college admissions. While your average second grader doesn’t realize this, kids at the high school level where I teach understand it perfectly and resent spending nearly a week completing tests that don’t directly benefit them. This resentment is not hard to see. Aaron and Travis, two of the students I supervised last year, employed less subtlety than others, but they weren’t alone in deliberately tanking the test. I’ve noticed many students finishing tests with remarkable speed over the three years I’ve proctored STAR. Based on my observations and informal polling of other students and teachers, I estimate that the only ones trying their hardest on the test are the top third, those who think they have a good chance at winning some of the scholarship money now connected to STAR. Then, about half read the questions and try to answer them, but don’t sweat much over problems they can’t solve or don’t understand. The remaining one-sixth fills in the bubbles as quickly as possible, sometimes making elaborate designs out of their scan-tron marks, getting questions right only by random accident. And yet, our school scores consistently above the state average, last year earning the teachers a bonus (mine was $362 after taxes) and more than $130,000 for the school. From this I can make two conclusions. First, if our school is scoring this well despite a large number of students blowing off the test, then other schools must have at least as much trouble motivating their students as we do. Second, if we want meaningful results from this $44 million enterprise, we have to find a way to motivate all students to try hard on STAR. Awarding scholarships to the top students is a good start. Giving money to well-scoring schools will motivate the administrators, though it seems that schools with lower scores have greater need. But most students don’t care about either of these things. Ninety percent of them will not win a scholarship. Even fewer will get excited by how their administrators spend their schools’ award money (ours went towards an additional counselor and staff diversity training, both worthy causes but hardly inspiring to teenagers). Here’s how to do it: give all high school students a stake in the outcome by consolidating STAR and the newly-enacted high school Exit Exam. After they pass once, they don’t have to test again. This would have the additional benefit of reducing the test burden. In addition to STAR and the Exit Exam, many take the PSAT, the SAT, Advanced Placement tests, competency tests and Golden State exams, all on top of a standard complement of classroom tests. If the current scores make Davis think so, imagine what would he say about higher scores more reflective of students’ real capabilities.